Bengt Gustaffsson runs a very successful dairy operation in Horn Sweden. He has expanded in 2014 from approx 600 cows to over 900 last year. The Swedish dairyman visited N. Ireland in 2013 to view dairies here and was inquisitive about their milk yields and number of lame cows. All of his cows are pedigree holstein yielding an average in excess of 12,000 litres and back in 2013 out of that number he only had 7 lame cows. His routine involved trimming and checking 150 cows feet ever 6-8weeks, he made it a routine exercise, plus solid floors in his building ensured that he could rubber every passage in the building that he erected in 2004. His cows are housed all year round and milked 3 times per day through an internal rotary parlour. In 2014 he purchased zig zag rubber from Wilson Agri Ltd, his intention was to rubber only the walkway next to the feed passage however when he noticed that the steel reinforced zig zag rubber was less expensive than the available sources or new reinforced rubber in Sweden it was within his budget to put rubber on every passage. Andrew and Gareth Wilson flew out to visit his farm earlier this year, exactly a year on from his install date to see how the product was performing and view the companies first install in Sweden. 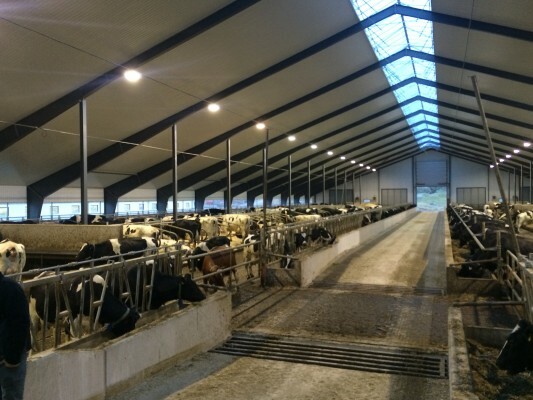 They were pleased as not only did Bengt show them his facility which boasts high levels of cow comfort which compliments his attention to detail and stockmanship. But he toured them around other dairies in Sweden every now and then a dairyman when Bengt wasn’t present would get Andrew and Gareths attention when Bengt was taking a phone call, they would say we can’t get down to the levels of lameness that Bengt has achieved or the high milk yields we sit under that. They were all keen to listen to his advice and look to his farm for what they would install or change next. Cubicle division design is important. On the last afternoon of their stay Bengt walked the Wilson brothers into his old building that was put up in 2005 and said I want a price to change this. Andrew asked why when its only 10yrs old, Bengt said its not working like the new building and the increase in production that we will see in here will not be long in paying for the change. 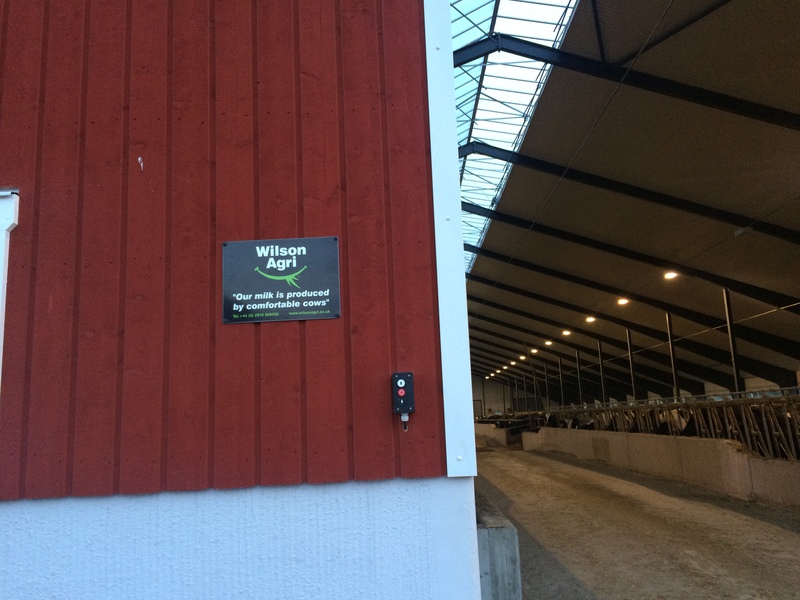 So at present as you are reading this story Bengt is installing over 350 post mount Cowcoon’s into his building in Horn Sweden. Again a damaged spine, hook or pin bone will affect how much more a cow will walk on one back foot as opposed to the other. What she rests against is vitally important. After a study at Liverpool university in 2013 Wilson Agri were shown the results that the removal of their super comfort cow cubicles only 5 years old and replaced with Cowcoons resulted in a group of 80 cows, going from 50% of them having some form of slight mark to a clearly visible injury to 0% in just 4 months. By replacing the steel cubicles in Bengts older building with Cowcoons and laying Zig Zag rubber on his collection area for the first time we hope to see if we can get his level of lameness in his herd down to less than 1% .